The Family Medicine/Diabetes Clinic offers a new paradigm in diabetes care. This clinic shifts from the traditional treatment model to one of education and proactive healing. A demonstration kitchen provides clients with the skills to prepare nutritional meals. A workout facility provides for instruction in exercise as a means to diabetes management. As part of the University of Arizona Medical School, the Family Medicine Clinic is set up in three pods of 12 exam rooms each. The pods include preceptor spaces for consultation with residents. Each exam room is fitted with a consultation table to facilitate conversation between the provider, patient, and family members. 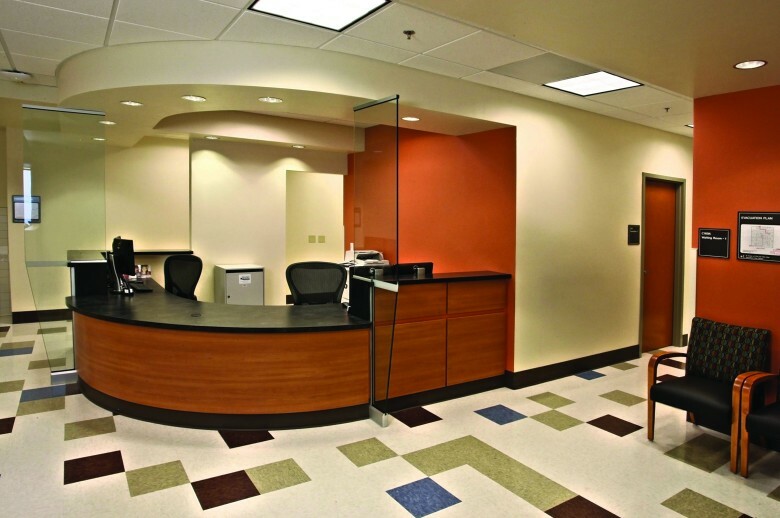 Recognizing the connection between physical health and mental health, each clinic pod includes office space for a psychologist to provide on-site counseling services.